The John Kitchen in Stockton – The Brief? The brief was to remove the existing Court Homemakers kitchen and install a new contemporary one. 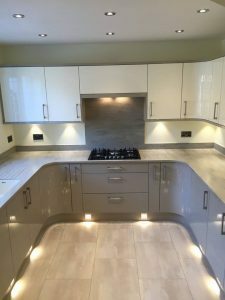 We wanted all new lighting, electrics and plumbing as well as a new service top, furniture and flooring. 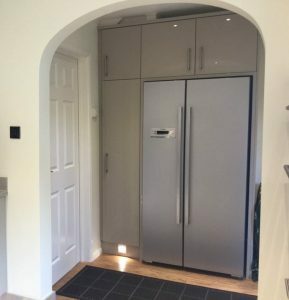 We also wanted a new fridge freezer to be incorporated within floor to ceiling units in the utility area to give us more storage space. 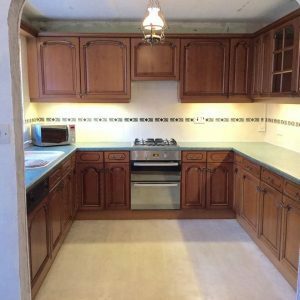 The property is a modern property, based in Stockton-on-Tees, with a combined kitchen and utility area. 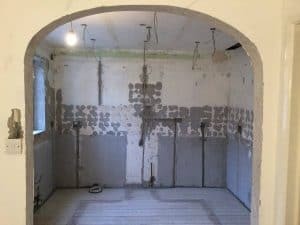 The existing kitchen, although still fully functional and as good as the day it was installed, felt out-dated and we needed a new, modern one, in keeping with the rest of the house. This project had very few problems due to the good design. 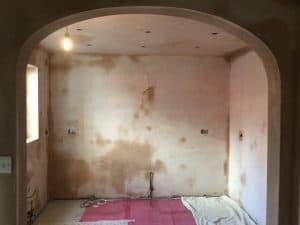 The good programme of work meant that the project got completed in 12 days, a great timescale. We love the shape of the kitchen and the new sink, incorporated within the service top and polished to a very high standard. We also like the pyramid lighting under the wall units, which shows off the full kitchen. The floor lighting then shows off the floor tiles. Court Homemakers installed our last kitchen in 1996, 20 years ago, with quality tradesmen and a quality kitchen alike. 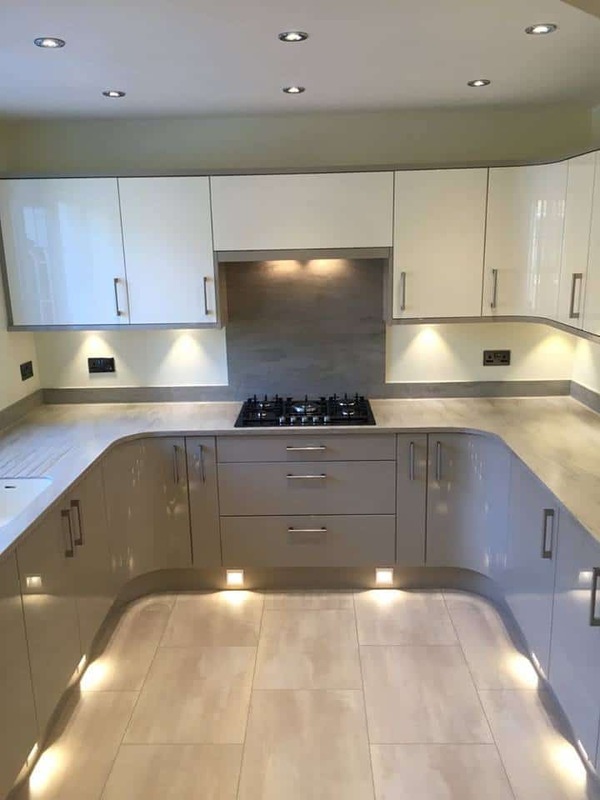 Repeat business makes sense to us, and we have been proved right by returning to them to install another superb kitchen of the highest standard. From Michael the kitchen designer, right through to the installation team, quality makes sense and Courts have delivered this again. We sat with Michael many times; working out the design and what would and wouldn’t work, listening to our suggestions and vice versa. Communication from both parties helped to make this a WOW factor kitchen and utility area.